Somewhere in between the fun-yet-exhaustive work of writing your book and the dreams of it being on the bestsellers list lays the land of marketing. In our dreams we tend to gloss over that part…unless it’s a fantasy of signing a stack of books at Barnes and Noble. That is definitely a fantasy that will never come true…without some marketing. This being a broad subject, today I’d like to focus on just one aspect--the blog tour, and how to make the most of it. Your blog tour is a big opportunity to connect with a willing audience and make such an impression that they are compelled to share your book with all of their friends. Create a buzz—that is the purpose of a blog tour. Yes, you ultimately want sales to increase but for that to happen there needs to be buzz. With so many book tours out there how do you stand out? Simply saying, “here I am, please read my book” won’t spread very far. You need to engage with your audience. You are meeting a few hundred new friends and you want to develop a relationship with them so they will introduce you to all of their friends…and remember you when your next book comes out! Consider each stop on your tour as a first date—if you want there to be a second date you need to open up. Your readers want to learn about you and gain a feel for your personality. They want to read about your view points and experiences and will be looking for a common ground. Invite comments and respond back. Create a space that invites readers to stay awhile and makes them want to return. A pleasing template, a personal blog page, behind-the-scenes information on your characters and sneak-peaks of your upcoming work will keep your audience interested. Whichever social media accounts you enjoy using, make them part of your tour. Announce your tour dates, thank your hosts, and congratulate the people who win your giveaways. Connect with the new friends you meet on your tour while you are touring to get the relationships rolling. When Kristina McMorris toured with her book Letters from Home she created a special “prize box” for one of the giveaways during her tour. In keeping with the theme of her book she purchased a storage box that looked like a travel trunk. Inside were a signed copy of her book, some “victory garden” seeds, a chocolate bar wrapped in a vintage wrapper, and a CD of music from the WWII era. This might seem extravagant but it actually paid off. The reader who won the prize was so impressed that she recreated the entire package as a gift for her mother. Then, she turned around and bought two additional copies of the book for her sisters. She also brought the entire box to work with her to show the other ladies in the office. Kristina may have spent twenty or thirty dollars on that prize but the winner purchased a total of three additional books and shared the experience with an office full of women who undoubtedly ran to their computers to check out Kristina’s website. Then the mother shared with her friends and the sisters’s with theirs. Talk about a ripple effect! Include a bookmark (with your web address of course) when sending a signed copy of your book. If your story is prominently set in a city, include postcards or tourist maps of the area; you can usually purchase these from the local chamber of tourism. Even if you are touring with an eBook you can make a memorable impression by including a personal note to the winner. Invite them to let you know how they like the book. You might even include an additional electronic file of deleted scenes, questions for reading-groups or background info on your characters. 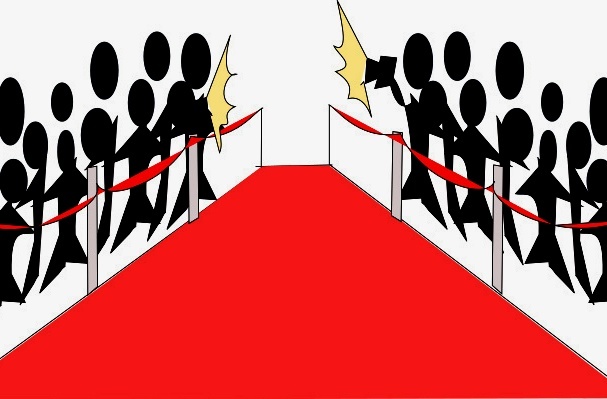 This is your red carpet walk so smile, shake hands, and put your best foot forward! Tick, tock. Tick, tock. Time is ticking away! You only have three days left! Tuesday, January 31 is the last day to register to be a part of World Book Night. What? You've never heard of World Book Night? 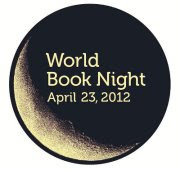 World Book Night is a celebration of reading that was started last year in the UK and has spread to the US this year. The idea behind World Book Night is to encourage people who aren't regular readers to pick up a book and enjoy. And what better way to do that than to give them a free book! Thanks to book publishers, sellers, lenders and more World Book Night is prepared to give away ONE MILLION free books on Monday, April 23. That is a lot of books. So they need a little help in the form of 50,000 volunteers willing to stand on street corners, in grocery stores, or anyplace in their community where they think they could find a few folks willing to take a free book. 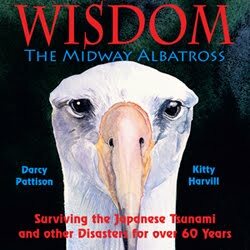 Check out the list of books being given away on World Book Night: memoirs, novels, horror, mystery, YA and tween here. Think you can talk 20 strangers into accepting a free book? Then sign up for World Book Night and join the fun. If you become a World Book Night volunteer, where would you give away books in your community? 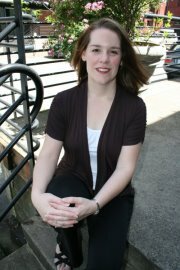 Jodi Webb is a WOW Blog Tour organizer and writer. She often gives books she reviews to her family, friends, and local library. If chosen, she'd like to give away books at her local donut shop -- the place she worked before deciding she was a writer. Read about her World Book Night adventures at Words by Webb. I read. A lot. As a reviewer and writer, it's part of perfecting my craft. I once had a student ask me how many books I've read in my lifetime. (Hey, I'm not that old!) I couldn't even begin to come up with a number. But I'll make a guesstimate: I usually read between 10 and 15 books a month. by LuAnn Schindler. When she's not reading, she's writing about Nebraska at luannschindler.com. I spent 12 years of my professional career in radio. I have to admit, I enjoyed aspects of it. But it was never my true passion. When my daughter was born in 2009, I left the industry to become a full time mom. Though I love my daughter with all my heart, after a year of the daily ins and outs of being a stay at home mom, I was ready to place a claim on my own life. I wanted something of my own. That’s where writing came in. I always wanted to create an at home business, but I had no idea what to do. Writing became the obvious choice because it was something I truly loved, and could actually do. I began searching websites and was amazed to find that there are tons of writing opportunities out. Honestly, had I known about these jobs before, I would have made the transition years before my daughter even came onto the scene. For the most part, I write web content. That is not always very exciting. For example, I recently got a job assignment for 27 articles on various aspects of kitchen counters. I have written about deer hunting (a topic I do not particularly enjoy), time shares (a topic I would love to enjoy in person), and plenty of other things. I found that as my fingers flew over the keyboard each day during my daughter’s naptime, I was finally fulfilled as a professional. Writing strange articles on topics I did not often know much about was weirdly fun. The real fun began, however, when I discovered a website that was just about to launch. This website, called chainbook.com, was asking writers to create the first chapter of books. After the website launched, another writer would write chapter 2, a third person chapter 3 and so on until the book was complete at 24 chapters. I had always wanted to write in a creative manner so off I went. I wrote 67 first chapters. The ideas kept me up at night. Once the website launched, I was sure I would leave my work behind and move on to the paying jobs. Articles about internet services were waiting to be written, after all. But I found the fiction world still calling out to me. I cannot add on to any of the 67 books that I started, but I can look for other writers to help. There isn’t any pay involved, but once the books are published, each writer can say they are a published author. Their name and words will be in print. In an actual book! Plus, it’s just plain fun to see where my ideas go. I feel like I’m a better mom because I have a creative outlet. If you want a little extra creativity in your life, feel free to contact me about writing in one of the books I’ve started. I’d love to see where you take it! Brooke Williams is mom to a 2 1/2 year old and a freelance writer who has articles all over the internet. 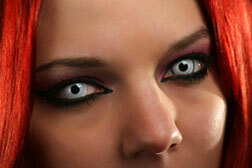 She wrote chapter 8 in the recently published "ShadowLake" novel, a publication of chainbooks.com. 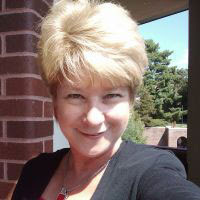 You can view some of her fiction work at http://chainbooks.com/AuthorDetails.aspx?Authid=43 or contact her for the change to write a chapter in one of her books at djforjesus@hotmail.com. 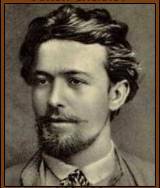 His heyday was long before the advent of film and television but I often paraphrase Anton Chekhov whenever an aspiring screenwriter suddenly throws a contrivance into the third act that had nary a passing reference in the first or second. The objective is always the same: to try to jumpstart a floundering plot with a last-ditch surprise in order to keep it from dribbling off with a whimper. What’s interesting is the correlation to TV series that – when faced with a waning (or yawning) audience – will do almost anything to stay on the air. There are three major differences between crafting a plot for the movies and coming up with a marketable premise for episodic television. The first is that a movie is a stand-alone product that delivers an entire story in the space of 120 minutes or less. In contrast, a TV series is a succession of weekly installments that – if the ratings are good – can unfold over the course of multiple seasons. As is often quipped about M*A*S*H, for instance, the series actually lasted eight years longer than the Korean War it was depicting. Secondly, movie characters are forced to take actions predicated on reward, revenge or escape in response to a major external conflict that has placed their lives and hearts in jeopardy. This meets the criteria of a character-driven tableau in which it’s the players themselves who push the storyline forward to resolution and, in doing so, experience emotional growth. In contrast, TV sitcoms are plot-driven wherein random acts of weirdness keep occurring that everyone predictably reacts to on the basis of their internal angst. Accordingly, they never evolve past whatever traits they projected when first introduced in the pilot episode. The exception? Finally declaring their feelings for the person we the audience have known they should be with from the very beginning. Third, movie protagonists often have bigger-than-life jobs that the rest of us wistfully envy. They’re archaeologists, scientists, adventurers, spies, pirates, etc. While TV drama personas often embrace occupations such as detectives, doctors and lawyers, the career paths of TV sitcom characters are more mundane - waiters, office workers, teachers, servants and political lackeys. (On the plus side, however, the majority live in New York apartments that are larger than any flats inhabited by heroes on the silver screen or, for that matter, anyone who actually lives in New York.) Since there are only so many workaday scenarios that can revolve around ordinary people in ordinary settings, the chances for them to shine are limited. You can always tell a sitcom is sliding when its main players suddenly take a trip to Hawaii, Europe, or go on a cruise; it’s their day-to-day living that has driven them – and us – to the brink of boredom. Former actress/director Christina Hamlett is a professional script consultant and ghostwriter whose credits to date include 26 books (3 of which are on the craft of screenwriting), 141 plays, 5 optioned features, and hundreds of articles/interviews that appear in trade publications throughout the world. She is also the screenwriting editor of Writers Journal, and has conducted workshops on scripts and the performing arts for over 30 years. Christina's's new online class for WOW! 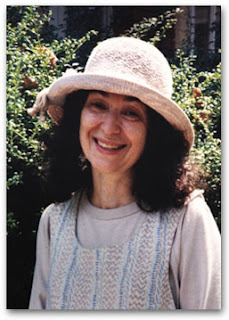 Women on Writing starts on Monday, February 6, 2012! Sign up now for HOW TO WRITE A TV PILOT: An Introduction to the Craft of Creating a TV Show while there's still space available. For details and enrollment, visit our classroom page. We have a real treat for you today. 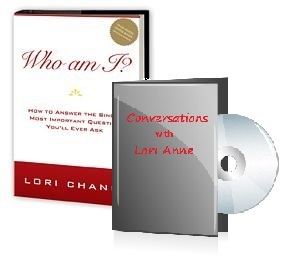 Lori Anne, the Change Agent, is here to discuss her book, Who Am I? How to Answer the Single Most Important Question You’ll Ever Ask, her audio series, and her life coaching business. For almost ten years, Lori put her own interests and dreams aside telling herself she was doing the right thing because it paid the bills, helped provide for her kids, and was a good career. 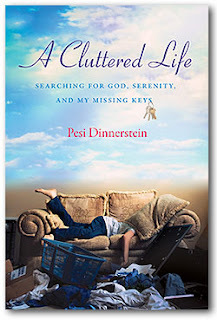 Thing is, she was miserable, stressed out, and overwhelmed – she just wasn’t admitting it to herself. Then her 49-year-old mother suffered a brain aneurysm, and she realized how precious each day really is. Coming face-to-face with her own mortality at just twenty-seven years old pushed her to reevaluate the life and choices she'd been making. She wondered, “If I were to step out my door today and not come home, would I at least be proud of the life I’ve lived so far?” At that time, the answer was “No,” and she vowed to take one step every day until she could answer, “Yes” each night. It took years to transform her life, but it took her years before she realized she needed to transform herself first. 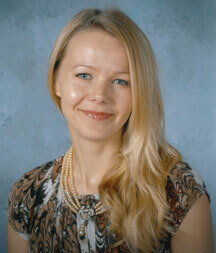 Lori received a degree in English and women’s studies in 1999. A constant explorer of how people think and create their lives, she trained as a life coach in 2005 and began working one-to-one with women who felt torn between the reality of their lives and the dreams they ached to create. WOW: Hi Lori, welcome to the Muffin! We are so pleased to have you with us to share your knowledge and your work with us today. So, let's get started. You have built a business around what many of our readers need help with. To quote you when we discussed this interview: "my business itself is all centered around helping smart, savvy moms bridge the gap between their realities and the dreams they ache to create. It's about looking at ourselves, our beliefs, our habits, how we think etc., and changing from the inside out in order to achieve our dreams." What are a few ways you help moms or women in general do this? 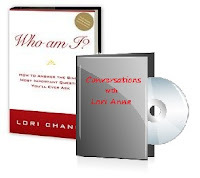 Lori: Whether it’s a one-to-one life coaching session, my book, my audio program, my blog or Facebook page, or the even the free video coaching series I offer on my website, the core of everything I do centers around asking powerful questions that help women reconnect with their inner wisdom. You see, I believe each and every one of us already has everything we need to achieve any dream we have–but sometimes our own thinking and beliefs about ourselves or our situation gets in our way. Our emotions are the voice of our inner wisdom trying to break through. When we feel drained and exhausted, that inner wisdom is trying to tell us to slow down and take care of ourselves. When we feel lost, our inner wisdom is trying to tell us we’ve gotten off track from our personal life’s purpose. When we feel joy, our inner wisdom is letting us know that we’re on track and need to do more. It sounds simple, but so many of us have been taught to put our own feelings aside for the sake of others and keeping the peace, we no longer hear the messages or know how to interpret them when we do hear them. I help women get back in touch with their Self, so that they can build the life THEY dream about. I support them through the inevitable challenges that come up when we go through transition. I challenge their assumptions and beliefs, so that they can uncover the hidden road blocks as well as the obvious ones. We can only truly change our lives when we first change ourselves. So I help women become the person they want to BE, so that they can DO and HAVE what they dream about. WOW: That sounds WONDERFUL, and I'm sure many of our readers are nodding along with me right now. So, tell us about your book, Who Am I? How to Answer the Single Most Important Question You’ll Ever Ask. What is the main focus of your book? Who is your audience? How can it help? Lori: To live the life we dream about–to really feel that sense of fulfillment and purpose so many talk about–we need to learn one very fundamental thing: how to make, and stand by, decisions that honor who we really are. Unfortunately, many of us have been taught to make decisions based on what someone else thinks we “should” do, rather than what is really right for us. My book focuses on discovering who we really are, why those parts of ourselves are so important, and how to start using that self-awareness to make decisions that re-shape our lives into what we really want, instead of what we wound up with. I wrote it particularly for women because while all of us are shaped by other’s desires for us, women are taught more explicitly to take care of everyone else first and ignore their own needs and desires. We’re taught that it’s selfish or needy to even HAVE our own desires for our lives. Yet, the opposite is true. It’s far more selfish, in my opinion, to undermine yourself to the point that your children only see you exhausted and stressed out at the end of the day, to feel like you’re not really present with them when they just want to feel loved. What kind of role model is that being for them? We want what’s best for our children, our families, and our friends; so why not find the best in ourselves and learn how to share that? The book breaks down the process of learning who we are into simple steps, asks powerful questions through journaling and meditation exercises, and helps women create a purpose statement for their lives that’s based in what is truly right FOR THEM. What’s incredible to watch in this process is how tapping into what we’re most passionate about and bringing more of that into our lives really gives us more energy, empathy, and the ability to give even more to all those we love. It’s not selfish at all! It’s incredibly beautiful. WOW: I feel like you are describing me exactly when you describe your readers and women's beliefs. I'm sure I'm not alone. What format is your book available in? Where can people find it? Lori: The book is available on my website at http://LoriTheChangeAgent.com. It can be downloaded as a pdf file for immediate access or purchased as a soft cover bound book, also available through my website, as well as on amazon.com. WOW: You also have a monthly audio series. Tell us about these audio programs and the special deal you are currently offering with your book. Lori: I’m really excited about the new audio series this year! It’s called Conversations with Lori Anne, and it’s nutrition for the mind. Each month, I’m being interviewed one-to-one on various topics. Each of the topics are coming right out of a survey I did in the fall, where I asked women what their biggest challenges were to achieving their dreams. The first topic, which has just been released, is "Stopping Dream Killers & Receiving Support," in which I talk about what a dream killer is, how to recognize them, and how to stop them, so that you can receive the support you need and deserve to achieve your dreams. It was a lot of fun to record, and I’m thrilled to be able to offer it! To introduce the series, I’ve created a limited time offer. When someone purchases my book, they can receive the audio program at over half off! WOW: What a great deal! You call yourself a change agent. What do you mean by this? How can you help women change if they have a different picture for their lives? Lori: If we want something we don’t already have, we have to change something about ourselves – become the person we need to be in order to have those things. For example, if someone is a workaholic but wants to spend more quality time with their family, then they have to first look at the reasons for the choices they’re currently making that made them the workaholic and begin to shift those. This can be a real challenge! As a change agent, I help my clients identify a clear vision of where they want to be as well as develop their own inspiring WHY they want to get there. The why is the most important part. It’s the why that motivates us to keep going through the challenges, and it has to be tied to who we really are, or it won’t sustain them. There is a specific process that we all go through when we’re recreating our lives, and I help my clients navigate that process, so that they can complete the changes that they want to make. It’s easy to get lost or even give up; but with support, it becomes much easier. If someone has a vision of her life that she wants to realize, I can help her figure out where to start, figure out how to go about the process in a way that works for who she is, and support her all the way through it. Together, we build the bridge she needs to get from where she is to where she wants to be. WOW: If any of our readers are interested in the topics you are discussing and the products you are offering, what should they do? Lori: There are several things they can do. They can visit my website at http://LoriTheChangeAgent.com and learn more about who I am, the products I’m currently offering, as well as the limited time offer that we talked about earlier. They can even take advantage of the free coaching video series that’s available. I’m also on Facebook (http://www.facebook.com/TheDreamineer) and love interacting with the fans there. And if they’re ready to start building their bridge and want one-to-one support, I’m happy to talk with them about coaching. They can e-mail me at Lori (at) LoriTheChangeAgent (d0t) com about receiving a complimentary thirty-minute coaching session, in which they can experience what it’s like and learn more about it. WOW: Thank you, Lori, for sharing your business with us today. Is there anything else you would like to add? Lori: I can’t tell you how much I appreciate the opportunity to be here and share a few thoughts! My mission is to see women everywhere living their own purposeful and meaningful life. I know what’s it’s like to do everything we think we “should” and wind up feeling lost, overwhelmed, and frustrated. I’ve been there! And while there are still the day-to-day challenges, living a life that’s fulfilling is an incredible experience–one I want to give to as many people as possible! So I hope there’s something here that makes a difference, and I would be honored to hear from the women out there–their thoughts, their challenges, their feedback, their hopes, their stories… I want each of the women to know that no matter what it might look like today, their dreams are entirely doable, realistic, and absolutely worth pursuing! WOW: Lori, you are an inspiration, and we appreciate everything you have said here today. Muffin readers, don't be shy. If you have a question or comment for Lori, you can leave it here or check out her website or Facebook page. Remember, she gave you her e-mail address, too. OR start with her book and audio series by going to her website! Do you need to jump in and create an author site? The first question is what kind of site to create. There are a couple major differences in a blog and an html website. An html website is static and doesn't change unless you go in and change the coding; coding can be done with various programs, or by hand. A blog is a content management system(CMS): a CMS is a dynamic site, which is based on a database and is generated on the fly whenever someone visits the site. You have a database with slots for elements such as a header, a footer, sidebars, widgets and page content. When someone visits your site, the php code (a programming language usually used for blogs) queries the database and asks what should I put in this slot. Then it displays the page. What this means is that updating the site is easy. If, for example, you have 100 pages on your site and you want to add the fact that you have a new book out, you must update 100 pages. But in a CMS, you only update one slot of a database, which updates everything. Or, if you want to change themes totally, you just change the template, which updates all the pages. Blogs are usually organized on a reverse chronological basis, with the newest post on top. But most also have an option for pages that aren't in the timeline, and are displayed always. In Wordpress, which I use, there are Posts, which are the timeline posts in reverse chronological order, and there are Pages, which are the permanent pages outside the timeline posts. If you want, you can use the Pages to create a site that looks like an html site. Just ignore the posts and you've got a "website." There are a range of CMS programs from which to choose: Blogger, Wordpress, Joomla and others. Wordpress and Blogger are free sites that will have the URL extension of the site, such as FamousAuthor.Wordpress.com. 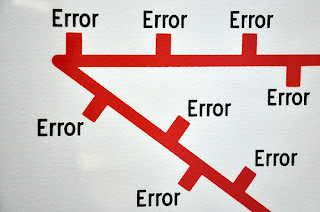 Joomla can be only be hosted on your own domain, while Wordpress has a free option, or can be hosted on your own domain, which is what I do (http://www.darcypattison.com). All of the major CMS have a support community where you can choose theme templates that determine how the site looks, and they are fairly easy to customize if you know just a bit of html or css. If you don't, then choose one that you like and just go with it. (Here's the Wordpress free themes page, where you can search by your criteria for design.) Or, you can go to something like Odesk.com and hire someone at a reasonable price to create a template for you. One thing I look for these days in a template is will it adapt for mobile viewers. The one I am currently using on the site for my new book, WISDOM, THE MIDWAY ALBATROSS, http://wisdom.darcypattison.com, recognizes the device you are using to display the site and shows one, two, or three columns, whichever is appropriate. For iphones, it's one column; for ipads, it's two; for computers, it's three. In other words, don't be fooled by a "pretty" template. Go for functionality, too. Or, look at the template for my site for my children's book, Prairie Storms, www.prairiestorms.com, which has a template specifically made for author. It features a book at the top and has other author-specific items. Here's a screen shot of that blog, showing the featured book and the author photo. Whichever you choose, an html site or a blog, the key thing is content. What you write about is important; layout and design and the coding behind it all should just support what you have to say. Fifty is a big number for lots of things: money found on a messy desk, the number of miles to drive to go shopping, the number of grandchildren some people in New Mexico have, the number of M&Ms I can consume at one sitting, and the number of years some folks have been married to the same person. That last one refers to my sweetheart and me! In April, before our fiftieth anniversary (December 17), I decided to write a gift for Frank, my hero. It had to be a surprise, and I knew keeping it a secret would be difficult, to say the least. Frank thinks that every time I’m writing on my computer I’m either communicating with friends on Facebook or writing e-mails. Little did he know, as I sat about three feet away from him while we were watching TV, that I was writing a book called Married to My Hero, right under his nose! In all of those eight months, he never asked what I was doing. Not once! Several friends edited for me, including Melanie Faith, my teacher for the WOW! course Translating a Life, to whom I submitted one chapter as the essay of the week. All authors need editors, and I had wonderful ones. Since we have lived in only four cities/towns in fifty years, I organized the book by place: Clinton, MS; Pascagoula, MS; Pensacola, FL; and Cerrillos, NM. 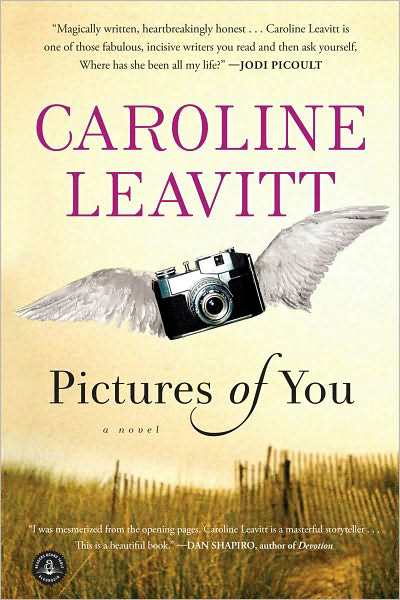 The book would be a history of our lives together, beginning with when we met and ending with where we live in our retirement years. Sometime in August, I gave myself permission, though, to write only about Clinton and Pascagoula. Too much has happened in our lives for me to be able to finish and publish by December 17. I was determined to give it to him at the grand party that our daughter had planned for us. I finished my manuscript early in November, and Wendy, our daughter, finished uploading it to Blurb and inserting lots of photos and other memorabilia that we had saved through half a century by the first week in December. The book arrived on December 14 . . . ah, three days before the big event, quite an accomplishment for all of us Youngs, who are notorious for last-minute finishings. I had my doubts as to Frank’s being surprised; however, when I presented it to him, I knew that he hadn’t a clue. He loves his gift and is reading it each night before he turns out the light. I’ll write about Pensacola and Cerrillos in 2012 and will have the luxury of asking Frank to help me remember details. Several times, I almost slipped and asked him to help me remember things while I was writing this year. That would have been disaster for my secret. We’ve begun our next fifty years (HaHa! ), and Frank is still my hero. Always has been, always will be. Sandy Young is a retired English teacher (32 years in the classroom), whose passion is writing. She blogs at Forever Young (www.foreveryoung279.blogspot.com). Sandy and Frank, her husband of 50 years, live in Cerrillos, New Mexico. Like many of you out there, I'm constantly trying to find unique and different words to replace the boring old ones that I always seem to turn to. Such words add a bit of spice and intrigue to our stories and, let's be honest, they make us look (and feel) a little smarter too. Checking out a suggestion from one of my author friends, I signed up for StumbleUpon a few months ago to help me with this ongoing quest. (For those who haven't heard of it before, it's a site that plucks websites and blogs from out of all the millions of choices on the Internet based on your personal interests, and sends them to your Inbox.) I've actually gotten some pretty cool link suggestions. Two that have been very helpful. The first was a blog post about creating Beautiful Word Clouds, like the one in the opening picture. 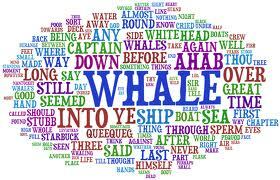 Basically, you choose a word (like 'whale') then brainstorm on all words that are related to the main one. It really helped me in writing a short story I had been working on. For writing books, though, I was looking for something more. And I came across something awesome the following week. The light came from another blog post on DESHODA called, "100 of the Most Beautiful Words in the English Language" (which, for some reason, actually worked out to 103 words!) WOW! What an amazing list! Let's just say I printed it off and added it to my word folder to refer to whenever I get stuck. And I thought I'd share this list with all of you today so you can do the same. Yeah, I'll probably still suffer with the occasional bought of 'Writer's Block', but never again will I be stuck with trying to find a beautiful, unique word when I need one. Conclusion? Start with a Thesaurus, move to creating your own Beautiful Word Cloud then add some of these words to it. Happy writing to you all this week! 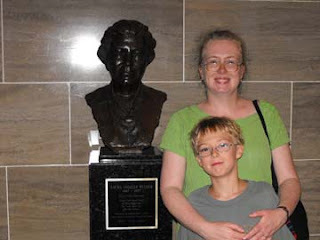 Laura Ingalls Wilder, SueBE and SueBE's son. Each has a distinct voice. I laughed out loud as I read the e-mail from my sister. Someone had cloned by husband’s e-mail addy and sent her a chatty message. “I knew it wasn’t him unless he’d a personality transplant.” Her clue? Because it included chit chat, the voice was all wrong. Mom’s, wives and women in general are Miss Marple when it comes to the voice’s of those we know. We can tell when they don’t feel well, have bad news, or are simply repeating what someone else said. Yet when it comes to our characters, we struggle to find their voices. In part, this is because our characters tend to sound like us. To shake things up, we need to observe how different people say the same thing. Here are three comments on a manuscript. One from me. One from my husband. One from my son. Can you tell which is which? "I’m not sure what you mean here.” That’s me. I’ve been told that I’m a somewhat aggressive person, I try not to stampede over the top of someone when I comment on their work. “You don’t have to listen, but if you want to sell this...” My son. Mr. Self-Confident. He’s especially brassy when he’s commenting on my work for kids. Since he’s my target audience, he fancies himself an expert. There is a reason that we each sound the way that we do and it all comes down to who we are. When you’re having troubles finding a character’s voice, think about the people you know. Is there someone who might sound like your character? What makes this person’s voice distinct? Perhaps it is her vocabulary or a pet phrase. It might have something to do with her vocation, education, birth region or favorite hobby. All of these things influence word choice. Now consider your character. Think about the ways that your character is like this person. Maybe they are both outgoing, smart, or analytic. Now, think about how they are different. Perhaps your character was born in a different time or place. Someone with a third grade education will sound different from someone with a masters even if they are both intelligent and outgoing. Last but not least, noodle over your character’s story. What does she want to say more than anything else? Spend about five minutes listening to her tell her tale. Then write it down. If you've listened well, you’ll find yourself hearing your character’s voice like never before. Congratulations to Anne Muccino for her flash fiction piece, "A Preponderance of Hope," which was a runner up in the Summer 2011 contest. If you haven't checked it out yet, you can read it here. Anne lives in the Kansas City area with her two sons—Daniel and Jack. She is currently pursuing her BA in English with an emphasis in creative writing while drafting her second novel. 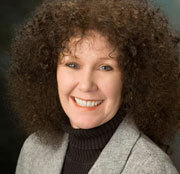 Anne is a member of several writing groups and is the writing group coordinator for The Writers Place in Kansas City, Missouri, www.writersplace.org. WOW: Congratulations, Anne, on being a runner-up. What gave you the idea for "A Preponderance of Hope"? Anne: The piece was born out of an exercise from the 3AM Epiphany book by Brian Kiteley, which involved taking two unrelated photographs or paintings and weaving a story between the two, one of which was a barn collapsing and the other a picture of Henri Matisse, which I didn't realize until I had chosen it. Both came from a book of LIFE magazine photos. I simply crafted a story from my imagination with the help of these photos. WOW: What a great exercise that really paid off! Tell us a little about your writing process for flash fiction. Do you tend to write it quickly, revise, and then you are done? Or are you a tweaker, where you are constantly playing with the words by deleting and adding and so on? 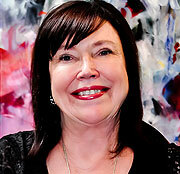 Anne: I do tend to write it quickly, but polish it with a number of drafts before I get it to where I want it. WOW: Where did you come up with the title for your piece? Do you feel the title is important in flash fiction? Anne: The piece I wrote was about hope, so that fits the description, preponderance meaning weight--the weight of hope. I liked that. Titles can be important--I know I am drawn to books or short stories (even flash fiction) when the title is intriguing or unusual. But I think the body of the flash fiction is the most important--especially a compelling first sentence. WOW: In your bio, it says you are pursuing a degree in English with an emphasis in creative writing. Do you feel this degree is making you a better writer? If so, how? Anne: I feel that once I get into the heart of the core creative writing classes it will further me as a writer, yes. But I think any time spent writing is an exercise in perfecting your craft. I belong to several groups--writing exercise group, free writing group, and a couple critique groups. Each time I am held to deadlines and put pen to paper I am improving my writing. WOW: That is so true! 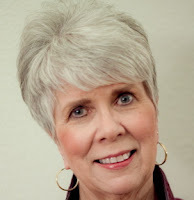 You are also the writing group coordinator for The Writers Place in Kansas City, MO. Tell us a little more about The Writers Place, and what your position entails. Anne: It's The Writers Place, based in the Westport district of Kansas City, Missouri, which serves as a literary community center, library, and gathering place for writers and readers since 1992. They provide support, resources, guidance and inspiration for those in the KC area who care about the written word as art. I am responsible for forming writing groups from pools of writers who contact The Writers Place looking for connections. WOW: It sounds like a great place to meet other writers and network! Why do you think it is important to belong to a writing group? Anne: I think it's invaluable as a tool for improving your writing. Many writers tell me they don't have the time to write or can't seem to make time to devote to their craft. When you are part of a group, you have deadlines and obligations to have your writing prepared, so in that way it keeps you churning out those manuscripts and keeps you writing. WOW:I completely agree with you. My writing group definitely keeps me writing and working on my novel. Thank you, Anne, for sharing your writing life with us today. Best of luck to you in the future!